LONG BEACH – The Long Beach City Council approved the appointment of Long Beach City College executive Lou Anne Bynum to the Long Beach Board of Harbor Commissioners, May 20. 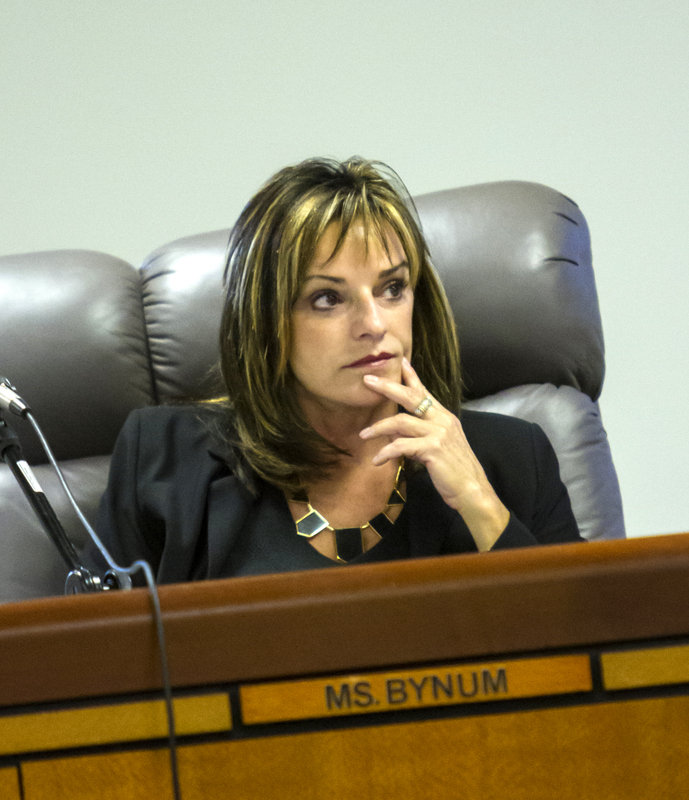 Bynum was appointed by Mayor Bob Foster to fill the seat left vacant by the departure of Thomas Fields in November 2013. The unexpired term will end June 2015. “I’ve long worked with representatives of the Port of Long Beach to develop educational and job opportunities in support of economic and workforce development in the region, and I look forward to continuing those strong ties between the Port and the educational community,” Bynum said. Bynum is the executive vice president of College Advancement and Economic Development for Long Beach City College, where she previously served as vice president and administrative dean. She also serves as a board member for the Pacific Gateway Workforce Investment Network, Downtown Long Beach Associates, St. Mary Medical Center Hospital Advisory Board, Memorial Medical Center Community Trustees, and the Advisory Board for the Los Angeles County BizFed Institute. In the past she has served as chair of the Long Beach Area Chamber of Commerce, vice chair of the Long Beach Economic Development Commission and president of the Southern California International Business Association. Bynum will be the sixth woman to serve on the Board. When Bynum joins the board, it will be the first time that the five-member Board of Harbor Commissioners will have three women – a majority – serving at the same time. The other women commissioners are Susan E. Anderson Wise and Lori Ann Farrell.